Are your tiny screws driving you crazy? Have you reached the point where you are absolutely tired of wasting time wrestling with small parts, looking for lost screws, or trying to figure out where they all go. Never again. 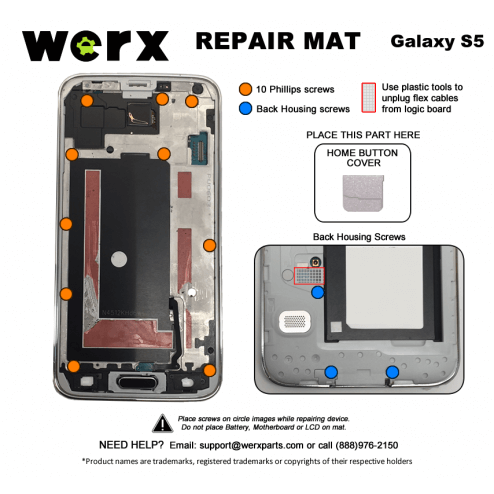 Place them on the mat and Repair with Care! Grab your Werx Magnetic Screw Mat Today! 1. The magnetic nature of the mat keeps your screws from falling loose. 2. Mat illustrations are device specific for your convenience.